What Nil Yalter tells here in a conversation about the atmosphere around the year 1968 in Paris might just as well be a quote from the present day. How does art react to political transformations? What kind of strategies do artists contribute to the discussion? Questions like these have accompanied Nil Yalter’s artistic career, and she has always responded to them anew, under ever-changing conditions. Yalter adds a new angle to topics like the position of the woman, migration, or the life circumstances of workers through an array of artistic methods, which oscillate between sociological research, ethnography, and a radical, art-infused will to experiment. Today we are also experiencing another moment of radical political shifts in Europe. But unlike the spirit of optimism and enthusiasm of 1968 we are confronted with a new aggressive form of de-democratisation, which has not yet managed to get art out of the studios. An orientation upon precedents of the past and a discussion about potential strategies are more important than ever. Nil Yalter, born 1938 in Cairo and raised in Istanbul, has been living in Paris since 1965. The feminist movement around the year 1968, which the artist was actively engaged in, has a strong influence on her overall artistic work to this day. In her work she combines research into social, political, feminist, and formal-aesthetical issues into a distinct artistic language. Migration, exile, the working class, and the social position of the woman have been recurring themes throughout her longstanding career. The formulation of new topics for the gallery context, such as the life circumstances of migrants in Paris, and her experimental work with new media distinguish Yalter’s pioneering approach. Her projects with the formats of video, painting, photography, and multimedia installations as well as her works in public space are part of international collections and museums. Katalin Erdődi, born 1980 in Debrecen, is a curator and cultural worker. She works in the fields of contemporary art and performance with a special focus on transdisciplinary collaborations, politically engaged artistic and curatorial strategies, and art in public space, which is conceived, in the broadest sense, as a social, architectural, and discursive space. Recently Erdődi has been active as the artistic director of the imagetanz festival and curator at brut Vienna; from 2018 she is the curator of the steirischer herbst. She lives in Vienna and Graz. 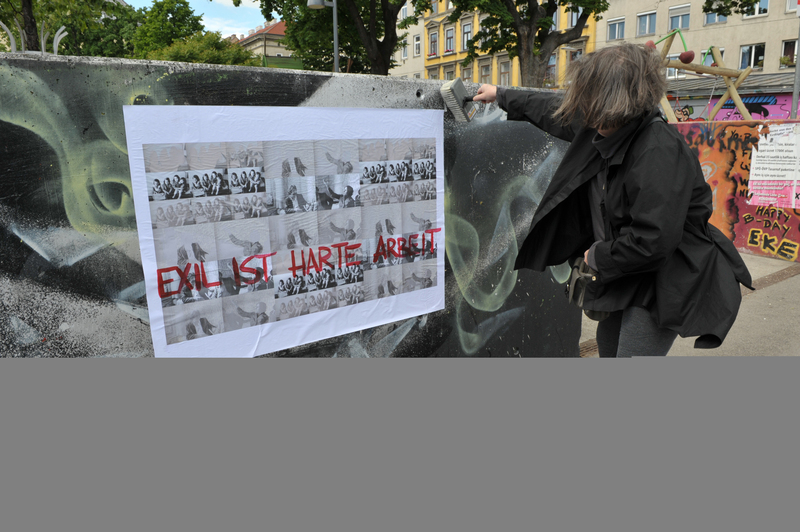 The “Talks about Art in Public Space” take place in cooperation with Public Art Lower Austria. the Kunstraum Niederoesterreich has stood for artistic innovation and cutting-edge performance art. In the framework of its jubilee programme the Kunstraum presents emerging and internationally established positions in feminist performance art. Looking into the past as well as to the future, the programme is conceived as an invitation for exchanges between generations. The Talk is in englisch language.